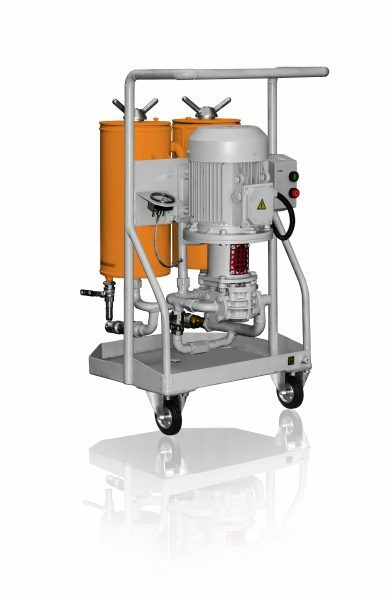 Mobile oil unit СММ-F (CFU filter carts) purifies diesel fuel, transformer, industrial, and hydraulic oils from mechanical contaminants. Max viscosity of the oil is 70 cSt at 50°С. This unit is used during installation, repairs/maintenance and operation of oil-filled equipment as well as in oil processing facilities. The unit enables oil purification to class 9 industrial purity (-/15/12 by ISO 4406) in multiple passes through the filters.